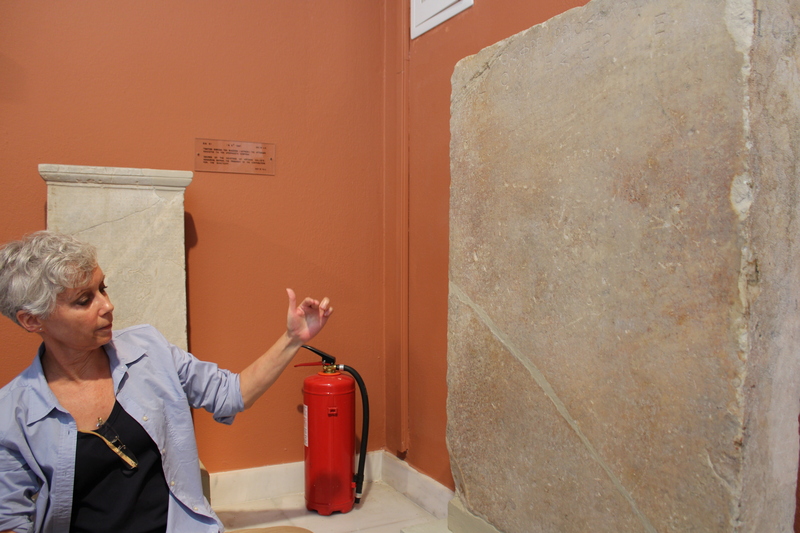 While the folks at CNERS and Digital Initiatives are hard at work digitizing the departmental squeeze collection, I have had the fortunate opportunity to visit the Athens Epigraphical Museum during my year abroad in Greece. 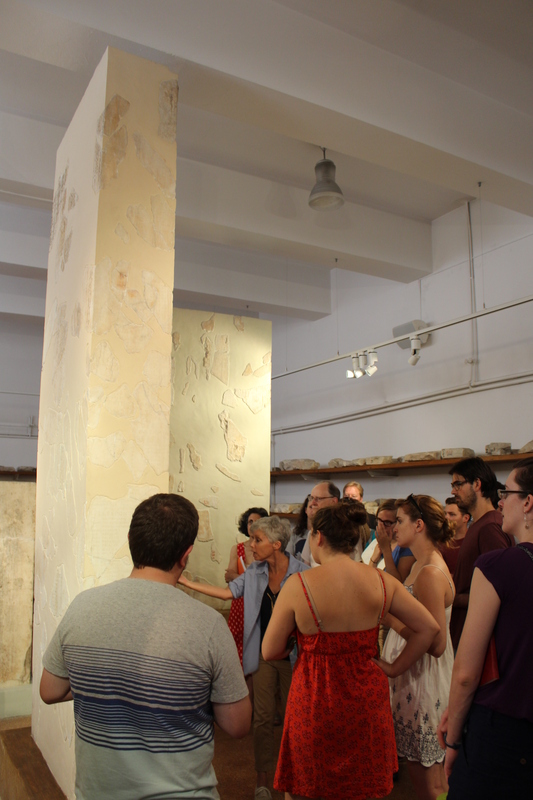 As a member of the American School of Classical Studies at Athens, one of our first activities was a tour of the museum with the delightful Dr. Molly Richardson. The Museum is truly one-of-a-kind: according to Molly, it is actually the only epigraphic museum in the world. 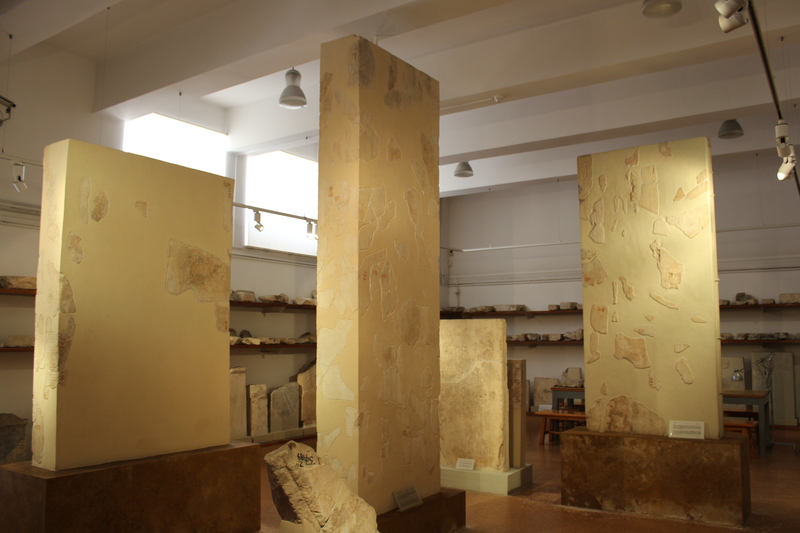 Its collections include the earliest inscribed gravestone from Athens, a copy of Drakon’s Law Code, the sacred law concerning the Acropolis and the Hekatompedon, and the Themistoklean decree, which was used as a cutting board in the kitchen of a restaurant until an epigraphy enthusiast noticed it, rescued it, and brought it to its new home here in Athens! In spite of this impressive collection, the museum is rarely visited – often only by archaeologists, ancient historians, classicists and the occasional stray tourist looking for the nearby National Archaeological Museum! In addition to these pieces (and of interest to the CNERS digitization project), the museum contains the Athenian Tribute Lists, dedications to Athena which once stood on the Acropolis of Athens. These inscribed records listed the quota given to Athens by members of the Delian League, a group of cities who joined forces to thwart the Persians in the 5th century BCE. These lists are often studied as a way to understand the development of the so-called Athenian Empire, and it is these inscriptions which form a large part of the CNERS squeeze collection: by making squeezes (copies) of the original stone inscriptions, Malcolm McGregor was able to ‘transport’ the ancient records overseas and conduct his definitive research. As you can see from the photos, the Athenian Tribute Lists are inscribed on massive blocks of marble and remain to this day, as they would have in antiquity, an imposing sight. It is difficult, if not impossible, for scholars to study the original inscriptions today – their monumental height reduces visibility, and there is a ban on the creation of additional squeezes for fear of damaging the stone. This makes the CNERS squeeze collection and the digitization project even more significant: we hold one of the few copies of these inscriptions and creating a digital record of these important historical documents will allow for them to be studied for many generations to come.